On Saturday I went to a Taco Festival at West Riverfront Park. 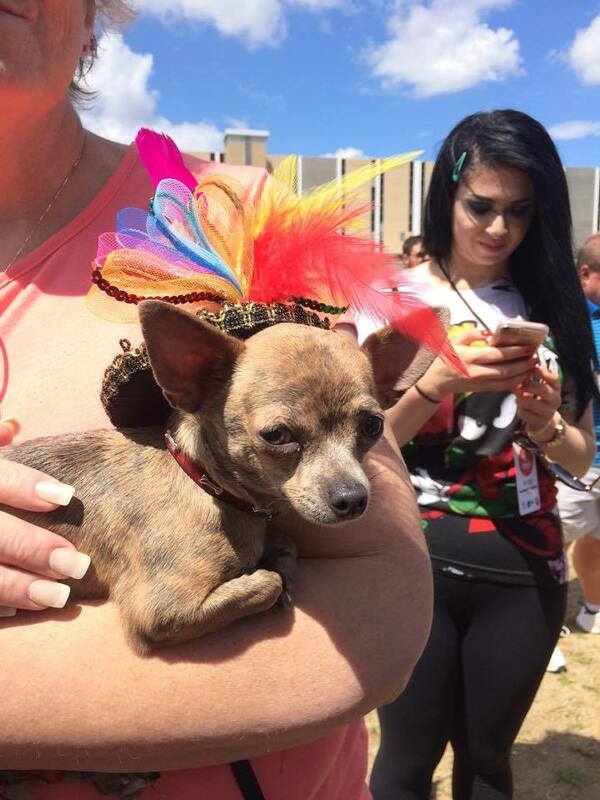 The sold out event brought out taco lovers of all ages and a few tiny pups in costume. At 1 PM I walked into the festival with my friend Alex, 10 taco tokens and a wristband for 10 tequila samples… things were bound to get messy. We went straight to a familiar favorite, El Taco Veloz. 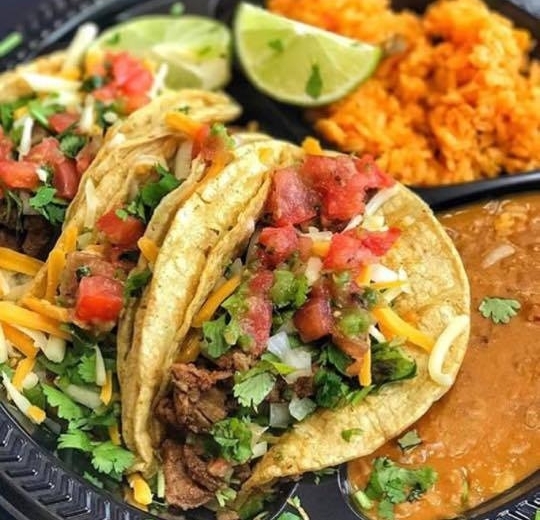 Usually parked at 6170 Toledo Street, Taco Veloz serves authentic tacos without the American frills. My beef taco was delicious and laid a solid foundation for the tequila samples. Let me tell you, tequila is my drink of choice. When my dear friend Alex asked if I wanted to spend Saturday sampling tequila and tacos I almost cried. Entering the tequila tent, I felt like a giddy kid walking in to disney world. We tried our first two samples and then went for more food. There was a lot to choose from. 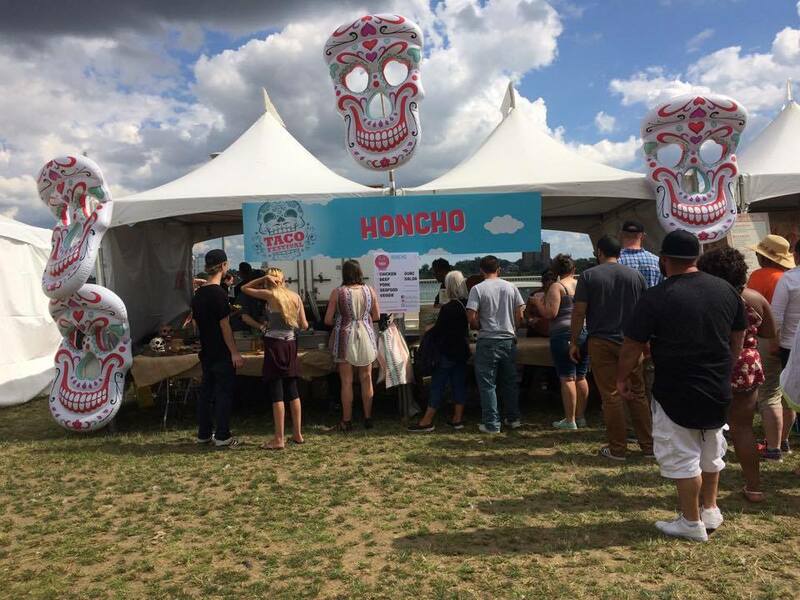 The festival was lined with over 25 taco vendors. I was surprised to see Small Plates and Huron Room in the mix. My favorite late night food stop, Hot Taco, was there. A few dessert booths added variety and our Eastern Market neighbors at Beyond Juice had a very cute juice stand. The festival was flawlessly planned. Lucha Libre matches were scheduled throughout the day, bands played, there was a tiny taco dog beauty pageant, a taco eating contest, a hot pepper eating contest, and a taco attire contest. Lucha Libre was one of the most bizarre things I’ve seen in real life. Wrestlers dressed in costume theatrically fought each other. There were three matches throughout the day, the tequila samples made the whole thing more ridiculous than it already was. By the third match the crowd was going crazy for The Power Ranger and Katana. Taco Fest was a 10/10. The event was nonstop fun, food, and tequila!